Donata Vercelli, MD, is a professor of cellular and molecular medicine at the UA College of Medicine, a member at the UA BIO5 Institute, and the director of the Arizona Center for the Biology of Complex Diseases. 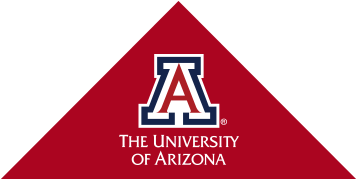 Dr. Vercelli has been one of the lead researchers of an interdisciplinary team as the associate director of the Asthma and Airway Disease Research Center at the University of Arizona Health Sciences. Her team has recently been awarded the Clinical Research Forum's top honor: Herbert Pardes Clinical Research Excellence Award. The award, presented "to the research study that best shows a team-science approach with a high degree of innovation and creativity, [that] advances science and has an impact upon human disease," was given for their study on the "Innate Immunity and Asthma Risk in Amish and Hutterite Farm Children." The investigation was focused on distinguishing the differences between two farming communities: the Amish of Indiana and the Hutterites of South Dakota. To read about the study and Dr. Vercelli's efforts, click HERE.